Honeymoons, anniversaries, engagements, make-ups. It may get chilly in Northern Europe, but it's so easy to heat things up at these amorous hotels. What's to Love: Tiny boutique hotel in the heart of Tivoli Gardens. Spacious, beautifully decorated rooms, and a doting concierge. Good to Know: You may be in town to eat at , but don't miss the hotel's excellent restaurant, . What's to Love: A gorgeous country manor house that's lovely without being pretentious. Great spa with indoor and outdoor swimming pools, as well as mud-bath and double-person Jacuzzi. For super cozy ambiance, ask a staff member to light a fire in your room. Good to Know: Even though Babington House is a part of , you don't have to be a member to stay (though members get better rates). Good to Know: The esteemed chef Simon Rogan is taking over the kitchen come spring, but, before trying his food, have the hotel book you for cocktails at nearby sister hotel . What's to Love: Perfect foodie getaway that's only one hour from London. 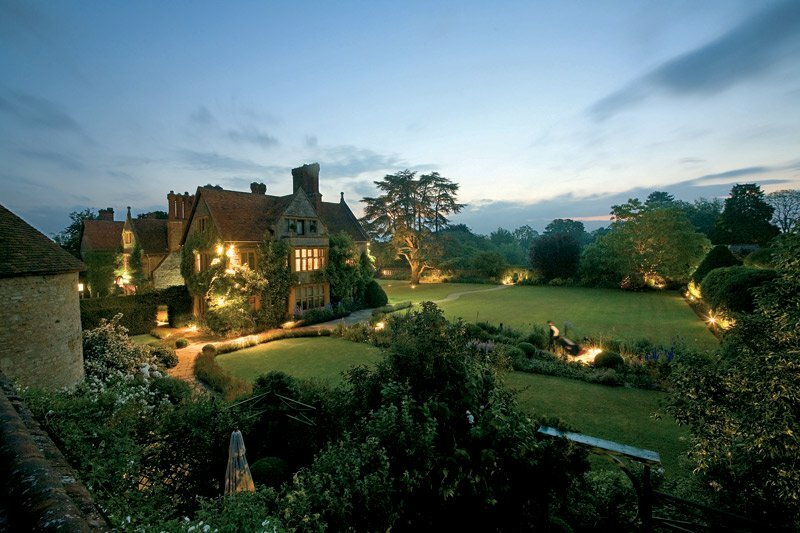 Michelin chef Raymond Blanc's country manor is renowned for seasonal, French cuisine that uses vegetables and herbs sourced from their two-acre garden. Good to Know: The rooms are all individually designed, so take time on the site to find the one that best fits your tastes. What's to Love: You're north of the Arctic Circle in Finnish Lapland in sky-facing glass igloos with unparalleled views of the Aurora Borealis. Adrenaline is your aphrodisiac with access to trained huskies for sleigh rides through the wilderness, titanic vessels for icebreaker cruises, smoke saunas and ice holes for life-lengthening skinny dips. What's to Love: Romantic, magical, in the middle of nowhere — and only an hour drive from Reykjavik. The owners, one of whom is an architect, built two rental cabins near their home. Come for complete privacy and expansive views over the landscape and Hekla Volcano. Good to Know: Bring a swimsuit for the geothermal pool nearby. Pack hiking boots for the beautiful trails across the property, but be careful in the mossy ravines — according to locals, elves live there. What’s to Love: Get in touch with your wild side at a formerly abandoned inn located in the desolate planet landscape bordering Thingvellir National Park. This is where the Eurasian and North American tectonic plates meet. You can snorkel in crystal-clear waters along Silfra fissure, hike Langjökull glacier, or cozy up and admire the Aurora Borealis through floor-to-ceiling windows. What's to Love: Food, glorious food. The owners have spawned three generations of feisty women chefs who are bringing local produce to the forefront of Irish cooking. Good to Know: pottery is nearby. Bring plenty of cold cash for hot-off-the-kiln crockery. What's to Love: A stately country house injected with the best in modern Irish design. It's hard to leave the property. The rooms and bathrooms are enormous and dreamy. Other distractions include the pool and spa, a happening little library, and the restaurant and bar. Good to Know: It's only 45 minutes from Dublin's city center in a bucolic setting where you can stroll to the river Boyne, fish, shoot clay pigeons, and horseback ride. What's to Love: Is this a dream you're living? You're sleeping outdoors on a rooftop, cuddled under duvets, watching the Northern Lights stream and dance overhead. You've checking into the recently renovated Villa Telegrafbukta, which can sleep up to six, should you feel like sharing. 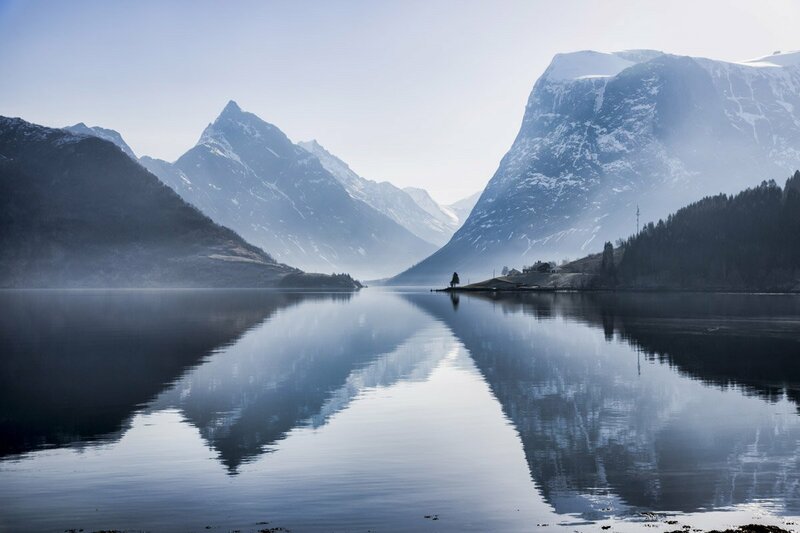 If you haven't pulled all-nighters under the galaxy, you can spend days exploring fjords and islands. This is available only through travel Off the Map Travel from September through March, though December through March is the best time to see the Northern Lights. What's to Love: Located on thousands of hectares of farmland in the rural northwest. Boundary-pushing cuisine with a brilliant staff willing to have you hang in the kitchen all afternoon. If you're there at the right time, you can watch a pig or a moose being butchered. So thoughtful: They provide ice-cold artisanal beer for the sauna. Good to Know: Stays are limited to one night. Schedule your trip so you can have lunch and breakfast. What’s to Love: Disappear for a few days at The Mirrorcube, one of five treetop suites nestled in the branches outside the small Swedish village of Harads that reflects the forest around it. Call it your most romantic vanishing act. Contributors: Treasa Cox, Olivia Mark, Courtney Maum, Alyssa Shelasky, Susie Walton, Brette Warshaw.